Jacqueline Chorn is a trained legal psychologist with expertise in survey methodology and statistics. She is a senior manager and survey expert on the Litigation Support practice at Applied Marketing Science (AMS). She designs and conducts research and analysis to substantiate advertising claims and conducts consumer perception surveys for advertising cases, secondary meaning, and likelihood of confusion matters. Her services include research and survey design, data collection, expert report preparation, expert testimony, and rebuttal work. Jackie is a member of the American Association for Public Opinion Research (AAPOR), the American Society for Testing and Materials (ASTM), the Council of American Survey Research Organizations (CASRO), the Institute for Operations Research and Management Sciences (INFORMS), and the International Trademark Association (INTA). Prior to her employment at AMS, Jacqueline worked as an assistant professor of psychology at the University of the Pacific and taught courses in research methods and statistics, legal psychology, and social psychology. 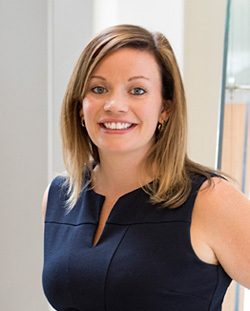 Her dissertation, funded by the National Science Foundation, examined the functionality of the safeguards offered by the Supreme Court in Daubert v. Merrill Dow Pharmaceuticals (1993) to protect against the admission of unreliable expert testimony. Jacqueline holds a B.A. in psychology from the University of Kansas, and holds a M.A. and Ph.D. in legal psychology from the Graduate Center at the City University of New York.